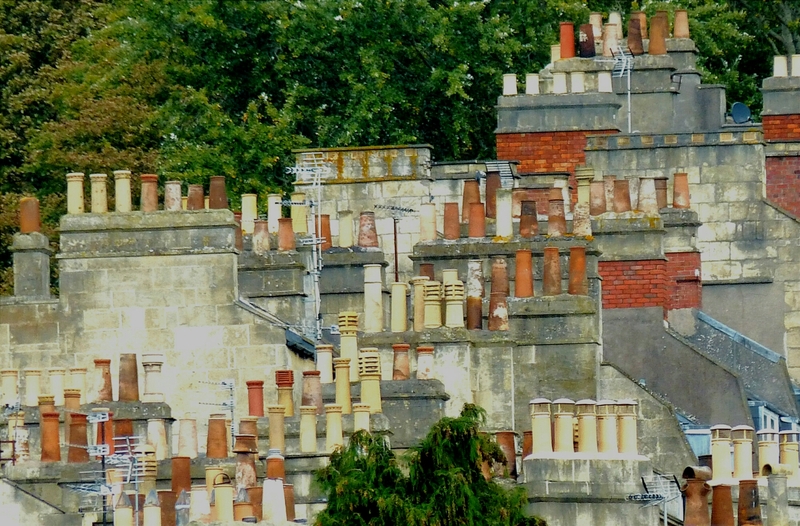 Saw this amazing herd of chimneys grazing the roofs above Cavendish Road in Bath. Wow, that is a lot of fireplaces! Yes, I think I may have seen that one. We are very lucky as we have a beautiful old abbey here in Bath and Wells cathedral is extraordinary (yes there really is a Bishop of Bath and Wells – as in Blackadder), some of the design looks really modern in the cathedral but was actually built in the 1200s I think. We’re planning to pop down there soon but I object to having to pay to take photos in the cathedral! As for Glastonbury, completely bonkers place full of shops selling healing crystals and wizard’s hats. My daughter went once and one shop was offering a stick for £60 labeled “Wand?” says it all. Oh yes! They visited Wells Cathedral (where Alistair had an organ lesson:) ) A truly jaw-dropping building!